Recorded Webinar: The New GST Withholding Regime: Purchasers of Residential Real Estate Beware! What transitional measures are in place? Will it apply to contracts already signed? Is the purchaser simply withholding GST on behalf of the developer? How will developers document margin scheme calculations? What is the potential liability of developer or purchaser if GST margin is incorrect? does it apply to standard house lots or will it apply to larger developments? what if property is only partly residential? what is the position of a nominee? does it impact payment of the deposit? how will it affect developer’s cash flow? what happens if purchaser fails to pay the withheld amount? what is the position for third party purchasers from an owner? How should standard land contracts be amended? How will the conveyancer make it work - should the conveyancer be a tax agent? How will it affect the GST reporting system? New penalty regime and extent of liability – are there exemptions and concessions? Does it mean the ATO gets priority ahead of banks? 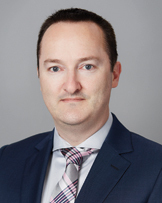 Mr. Cridland is a Sydney based indirect tax lawyer. He advises clients in relation to all indirect taxes, including goods and services tax (GST), stamp duty, land tax, payroll tax, wine equalisation tax (WET), luxury car tax (LCT), customs duty and excise. With respect to clients and sectors, his areas of experience include: real property, financial services, corporate mergers and acquisitions, energy and resources, public private partnerships (PPPs) and infrastructure, telecommunications, retail, insolvency and restructuring, and inbound intangible supplies. He also has experience advising both Federal and State Government agencies. Prior to joining K&L Gates, Mr. Cridland worked at an international law firm where he was the Head of the GST and Customs Duty (Australia).